There's been an almighty kerfuffle on Twitter over an upcoming event from OpenTable — namely, a picnic in Soho Square, on 25 May. People on Twitter weren't best pleased with the idea of going through a business to reserve an experience that many do for free — sans-reservation — daily. There was some confusion initially over the event costing £25, but OpenTable has clarified that the event is free. Fee/non-fee aside, public reaction has been almost unanimously negative, to what's being viewed as an infringement on a public space, something that's of growing concern to Londoners. Take a look at some of the responses to OpenTable's tweet beneath. I'm planning to have dinner in my own home tonight. Should I book first through your app or can I just go and do it? It’s a public square. There’s enough privatisation of public spaces already, without you feeding off people’s misunderstanding. This is a public event in a public space and the park will remain open to everyone throughout the afternoon. 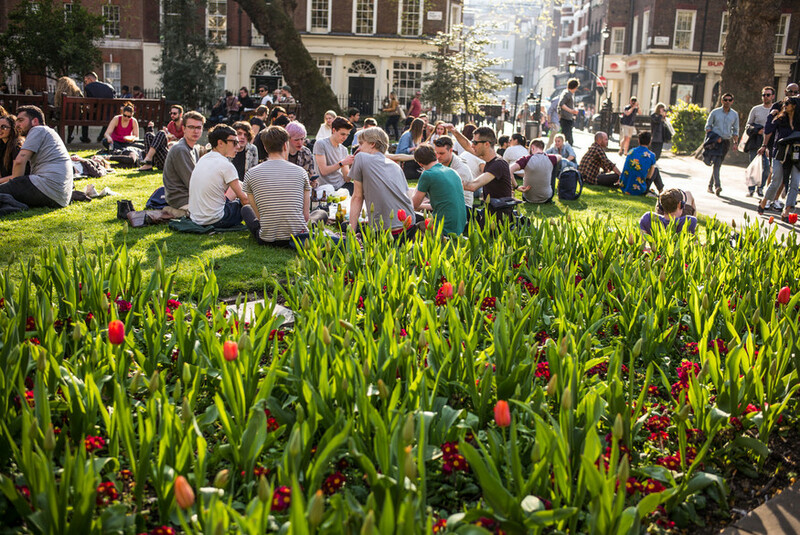 The OpenTable event is completely free of charge and involves providing blankets and cushions to enhance the experience of visitors in a small section of Soho Square. Westminster Council confirmed that OpenTable has paid a "nominal fee" to cover admin costs, but that no one is making money from the event. OpenTable also clarified that this event will only use some of the park, and that the rest of Soho Square is open to the public as usual.